Call of Duty: Infinite Warfare will take players on an unforgettable journey as they engage in battles from Earth to beyond our atmosphere against a relentless, enemy faction that threatens our very way of life. It's grand scale war and hallmark Call of Duty action with memorable characters, rich emotional arcs, and stunning new environments, all within an epic new setting. Call of Duty: Infinite Warfare puts storytelling front and center, in a deeply engaging narrative. It features jaw-dropping set-pieces and blockbuster cinematic moments, while also delivering a gripping portrayal of war that harkens back to the roots of the franchise. 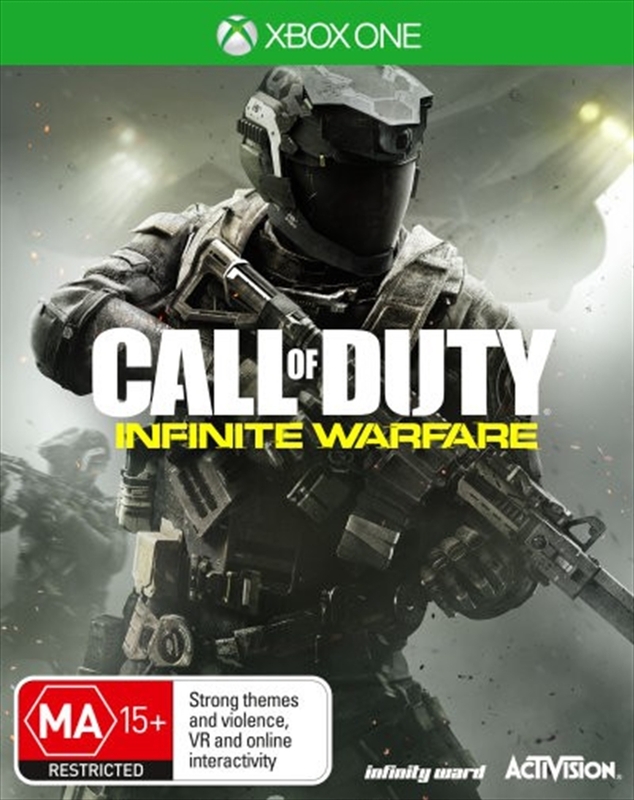 Infinity Ward also breaks new ground by thrusting the player into wartime leadership as Captain Reyes, a Tier 1 Special Operations pilot, who takes the helm of the Retribution, one of Earth's last remaining warships. In a time of unthinkable hardships, Reyes must lead the remnants of coalition forces against a relentless foe in a war that spans our solar system.